Have you seen our hotel in Formentera? 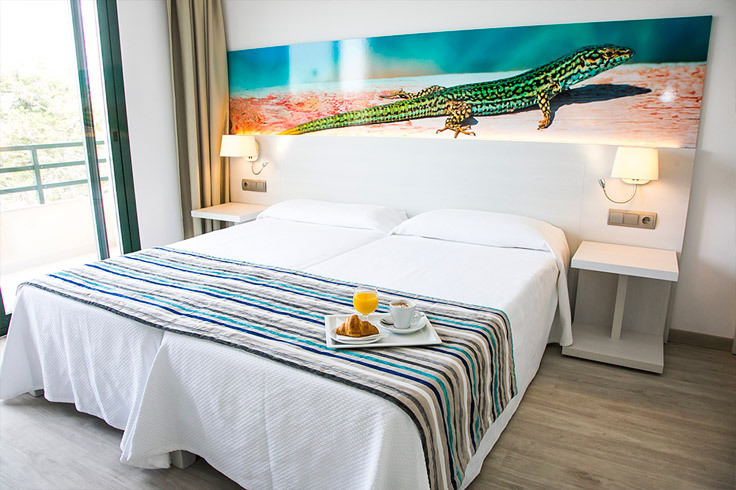 SM Turistic has a second hotel on the island of Formentera located in Es Pujols, very close to the beach and the leisure area. It consists of 50 rooms fully equipped and decorated so that our customers enjoy a comfortable and pleasant stay. You can stay with us by booking directly on our website: www.rosales-formentera.com. Here you will find all our availability according to the type of room and the dates you select. You can book the services of only accommodation, b&b and half board.